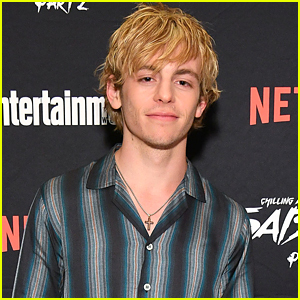 Peyton Clark Photos, News, and Videos | Just Jared Jr.
Sabrina Carpenter & Corey Fogelmanis Had A Fourth of July Pool Party! Our fave BFFs were back together again this week for the Fourth of July! Sabrina Carpenter and Corey Fogelmanis teamed up with her sister, Sarah and her longtime boyfriend, Peyton Clark for a pool party on America’s birthday. “Water we doing,” Sarah pun-ily captioned on her Instagram with a pic of the foursome. Later on, Corey also uploaded a video from the day, which shows him sleeping with a firecracker in his hand – um, do not try that at home! The “If you don’t love me at my, then you don’t deserve me at my” meme is taking over and we’ve seen some really good ones. Keegan Allen takes over our hearts with his, which features a very young Keegan. Kira Kosarin shared one with a photo in a chef’s hat and one of her all glammed up for an event. 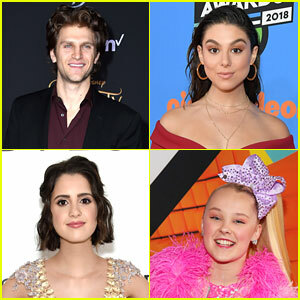 Also joining in the trend were Laura Marano, in glasses and braces, as well as JoJo Siwa, who’s “best” picture was one from her 2018 Kids’ Choice Awards performance, and YouTuber Bailey McKnight. 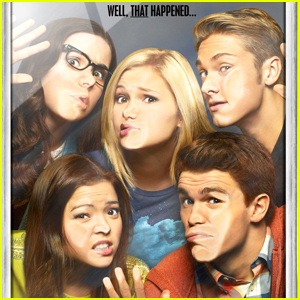 Olivia Holt & Her 'I Didn't Do It' Cast Finally Reunite - Pic Inside! The cast of I Didn’t Do It just made our hopes and dreams come true! 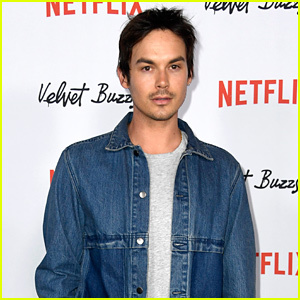 After talking, and talking, and talking of meeting up for a big reunion for the five stars — Austin North, Olivia Holt, Peyton Clark, Piper Curda, and Sarah Gilman — it finally happened! “so…we made it happen. only took 3 years,” Sarah captioned on Twitter with a pic of the cast. Our hearts are so happy right now! “It’s so much more difficult than it seems,” Sarah admitted. It’s been over two years since the end of I Didn’t Do It — and JJJ misses it every single day! 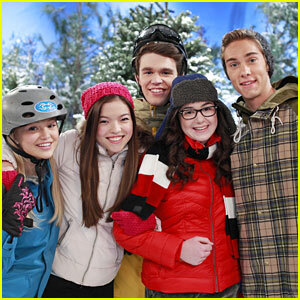 Austin North, Olivia Holt, Peyton Clark, Piper Curda, and Sarah Gilman said goodbye to the channel in 2015 and now the stars are trying to plan some type of reunion on Twitter. While is actually hasn’t been that long since the quintet have seen each other (less than 2 years in reality), a reunion still sounds good to us! Peyton and Olivia are both totally in, too. Peyton Clark and girlfriend Sarah Carpenter get friendly with a life-size beast inside the Nintendo booth during the 2016 E3 Gaming Convention at Los Angeles Convention Center on Tuesday (June 14) in Los Angeles. The couple checked out Nintendo’s new game, The Legend of Zelda: Breath of the Wild along with Nolan Gould, Alexis Knapp, Zedd and Gortimer Gibbon’s Life on Normal Street actor Sloane Morgan Siegel. Peyton, Sarah, Nolan and all the other celeb fans got an exclusive first look at the new game that will be released next year for Nintendo Wii U.
Cameron Boyce shows off his shiny red jacket on the red carpet at the 2016 Radio Disney Music Awards held at the Microsoft Theater on Saturday (April 30) in Los Angeles. The 16-year-old Gamer’s Guide To Pretty Much Everything actor joins co-stars Sophie Reynolds, Murray Wyatt Rundus and Felix Avitia. 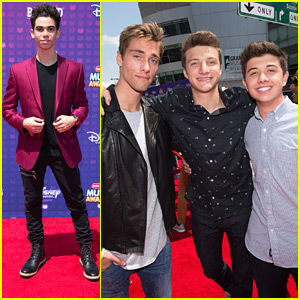 Also spotted on the carpet were Lab Rats: Elite Force stars Jake Short and Bradley Steven Perry along with former I Didn’t Do It co-stars Austin North and Peyton Clark. 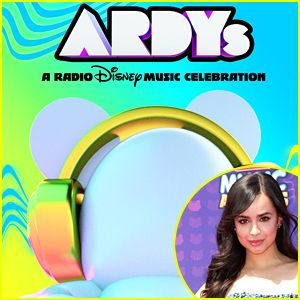 The 2016 Radio Disney Music Awards will air on Sunday, May 1st @ 7PM ET/PT on Disney Channel!